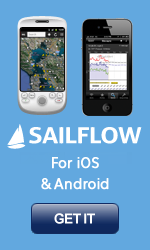 You are viewing the old version of SailFlow. Find a new and improved SailFlow here! The SailFlow region shown is MD - chesapeake. This is where I sail! Forecast map based on NAM 12km model . The Fish Index is based on Solar and Lunar Data for Occoquan River, VA. By calculating solar and lunar data, we devise a number to indicate the best times to fish in Occoquan River, VA. The higher the number the more likely fish will bite. The Fishing Index is based on the Solunar Theory devised by John Alden Knight. Time displayed is based on Occoquan River, VA local time. The wind graph displays observations as reported in knots. The blue line and shaded area represents the average wind speed, the red represents gust value, and the green represents lull. Dots along the lines indicate time of data reported. The yellow arrows represent observed wind direction. An arrow pointing down indicates wind blowing from north to south, and is commonly referred as a "north wind". Note: frequency (and latency) of data is a function of the individual reporting station. Many non-WeatherFlow stations report data only once per hour. Check sensor notes for information on data source. Please read and understand disclaimer before using this information.